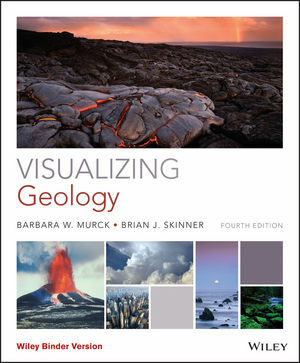 Visualizing Geology, 4th Edition introduces students to geology and Earth system science through the distinctive mode of visual learning that is the hallmark of the Wiley Visualizing series. Readers learn that the geologic features we see and experience result from interactions among three grand cycles, which extend from Earths core to the fringes of our atmosphere: the tectonic cycle, the rock cycle, and the water cycle. BARBARA MURCK is the director of environmental programs at the University of Toronto at Mississauga, in Ontario, Canada. She is the coauthor of several leading textbooks, including Environmental Geology and Geology Today: Understanding Our Planet.